(Akron,OH) – Saturday November 7 we are auctioning the unique opportunity to MAKE YOUR OWN BEER WITH HOPPIN’ FROG BREWERY!! This is all to benefit a great charity – The American Cancer Society. The winner can collaborate with me to select their beer’s name and style, design the beer’s label, and even brew it with us! Then when its ready, the winner will be invited to attend the release of their collaboration beer in our Tasting Room at the Hoppin’ Frog Brewery in Akron. And, during this beer release they will be presented with 5 cases of their special beer, as a thank-you for their donation to this very special charity!! This will be one of the many donated items featured during the annual Cattle Baron’s Ball at the Sheraton Suites in Cuyahoga Falls, to benefit The American Cancer Society. They are a nationwide, community-based voluntary health organization dedicated to eliminating cancer as a major health problem. So, they are truly a great charity! 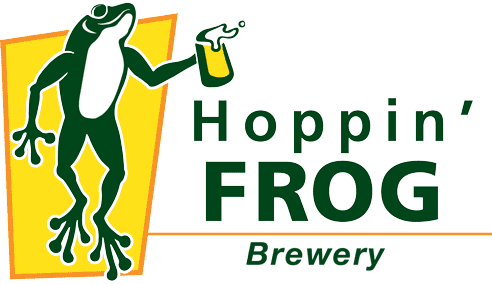 They will also be serving Hoppin’ Frog beer, so you know its going to be a good event!! Tickets are still available, and can be purchased online at www.akroncattlebarons.org. Make plans to join us now – we hope to see you there!